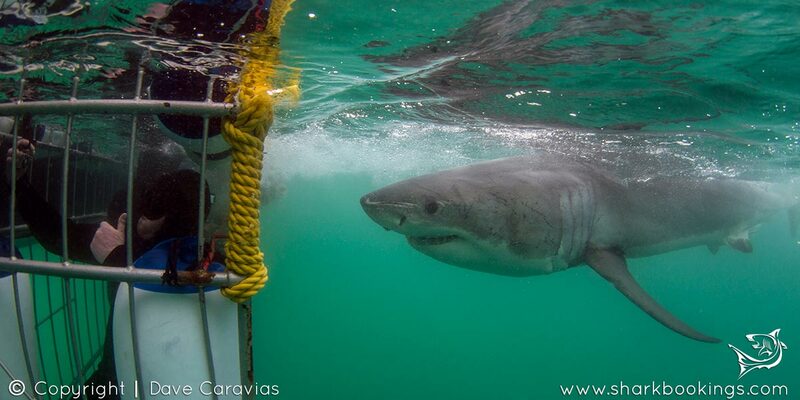 Join a trip in the afternoon to Seal Island to Cage Dive with the Great White Sharks. The Cage Diving afternoon trips just focus on cage diving at the island. This trip is not a breaching and predation trip like the morning and it is unlikely to see predation activity in the afternoons. At the end of the trip a decoy (fake seal) will be towed and you will hopefully be lucky with a view of a natural predation close to the boat.The boat takes a maximum of 12 guests per trip. This small number allows for great viewing opportunities and long cage dives. 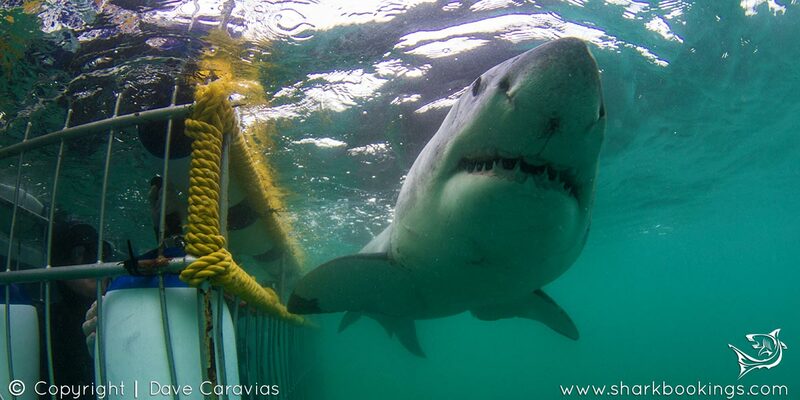 The cage is tied to the boat and guests are allowed to snorkel in the cage. In view of this, a diving certification is not necessary. 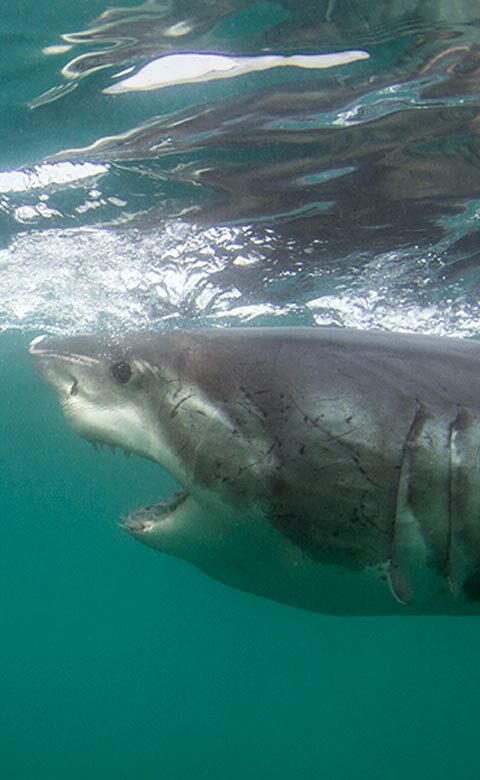 Join a trip in the afternoon to Seal Island to Cage Dive with the Great White Sharks. The Cage Diving afternoon trips just focus on cage diving at the island. This trip is not a breaching and predation trip like the morning and it is unlikely to see predation activity in the afternoons. At the end of the trip a decoy (fake seal) will be towed and you will hopefully be lucky with a view of a natural predation close to the boat.The boat takes a maximum of 12 guests per trip. 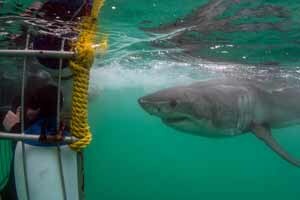 The sharks do not, unfortunately, hunt and breach on a regular basis at Seal Island in the summer but the best places to see the Great White Sharks (from October – May) are Gansbaai and Mossel Bay. The Dive: Cage comfortably takes 5 divers at a time, but can take max 6 if required and only 18 passengers on the boat so lots of space to move around and view the sharks from the boat and the cage. We mostly work on a breath-hold system in the cage as visibility is often limited and contact time with the animals underwater only lasts a few seconds at a time. The crew on the boat can see the sharks how they move and this way they can direct you to be looking in the right direction at the right time for the best views. 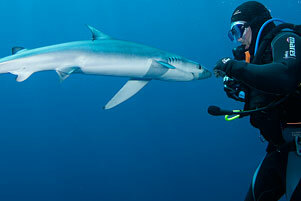 A hookah scuba system is available for qualified divers and is great when visibility is more than 6 meters and the divers can follow the sharks as they move around the boat/cage! 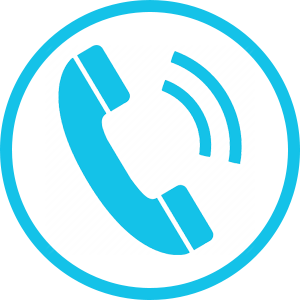 *Hookah scuba only available on request, please specify when making a booking. 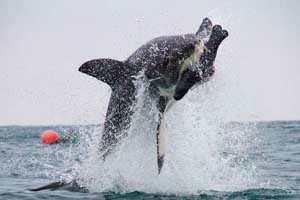 Join a trip in the afternoon to Seal Island to Cage Dive with the Great White Sharks. The Cage Diving afternoon trips just focus on cage diving at the island. This trip is not a breaching and predation trip like the morning and it is unlikely to see predation activity in the afternoons. At the end of the trip, a decoy (fake seal) will be towed and you will hopefully be lucky with a view of natural predation close to the boat. The boat takes a maximum of 12 guests per trip. This small number allows for great viewing opportunities and long cage dives. 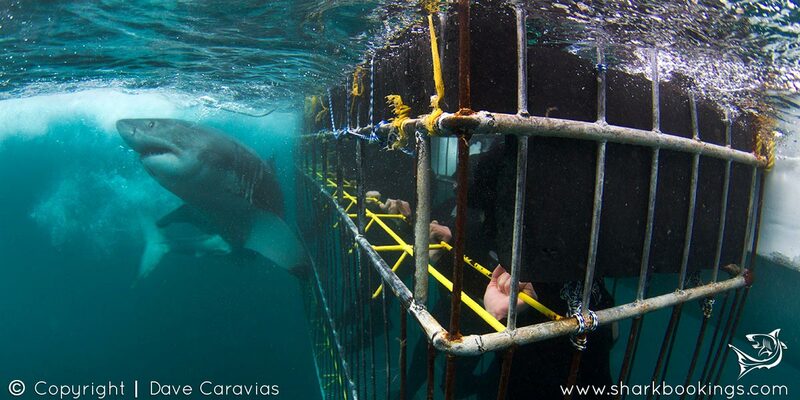 The cage is tied to the boat and guests are allowed to snorkel in the cage. In view of this, diving certification is not necessary. Meet crew at Simon’s Town Pier. Guests are welcomed aboard and a full safety and weather briefing is given before departure. Depart for Seal Island. (25 to 35-minute boat ride). The crew find a suitable location around Seal Island to anchor and start attracting sharks. Once a shark approaches the boat bait is put in the water to keep the sharks around the boat. At no point are the sharks purposefully fed or handled and only fish products and no Shark livers or any other attractants that have a negative impact on the environment are used. 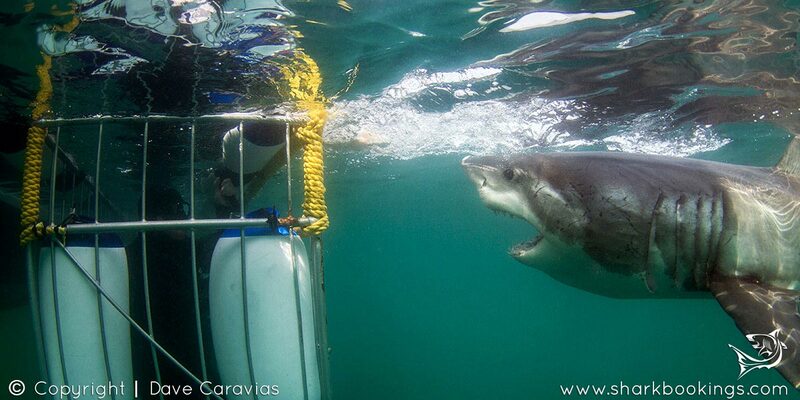 Once the sharks arrive the divers will enter the cage. The sharks come right up to the boat and if you do not want to dive then you will still have an excellent experience viewing the sharks. Snacks, soft drinks, fruit juice, bottled water are available on the boat. Depending on the weather and shark activity the boat should arrive back in Simon’s Town Harbour.